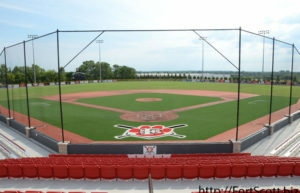 Ever since its opening in 2015, the LaRoche Baseball Complex has been used by the city of Fort Scott and USD 234 to bring visitors to town as well as host local events for the community’s benefit. 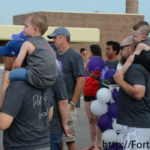 The complex will continue with that goal by hosting the second annual Wounded Warrior Classic Sunday Funday event July 3, starting at 6 p.m. at the Dave Regan Stadium. 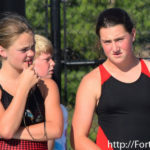 Regan said their goal is to take advantage of that opportunity by being a blessing to the community with events such as the upcoming one recognizing veterans and military members for their sacrifices and heroism, hopefully inspiring the young people present for the baseball games and other activities. 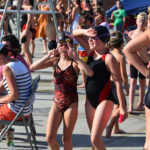 Starting at 9 a.m. Saturday, festivities will kick off with baseball games between 12 local and out-of-town high school teams, with some traveling in from out of state. 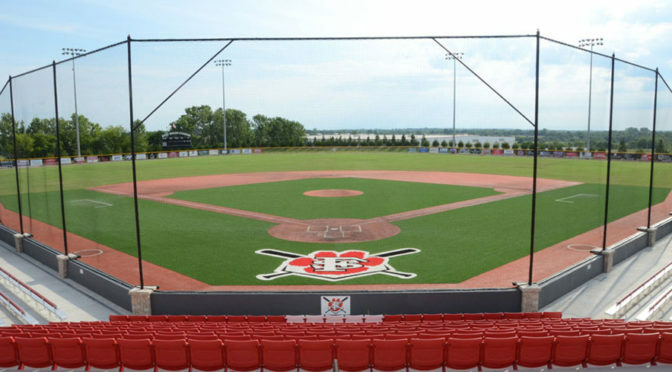 Games will continue on Sunday and Monday starting at the same time, with games being played at the Dave Regan Stadium and Lyons Field at Fort Scott Community College. 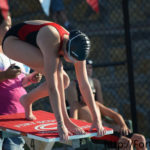 This year those teams will consist of athletes 18 and under, as opposed to 16 and under as it was the previous year. 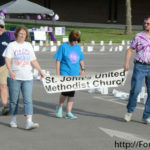 Other activities will include a fireworks display after dark sponsored by Briggs Auto Group and other local businesses, a bounce house and inflatable obstacle course for children, an E3 Meat hamburger stand, other concession stands, t-shirts for sale, a beer garden provided by Bourbon County Shriners and a country music concert performed by Luke Axtell and Friends. The event is expected to be done prior to midnight with alcohol sales ceasing before then. 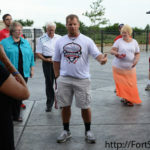 Combat veteran Brian Keaton will also be on hand to speak at about 8 p.m. Sunday, after the final baseball game, on behalf of military men and women and the Wounded Warrior Project, which Adam LaRoche has held a strong connection with over the years. “He’s got an amazing story,” Regan said of the speaker. Already, tickets are on sale for $5 at the Chamber of Commerce, Bids & Dibs and Country Cupboard. 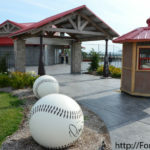 Admission can also be paid for at the gate. 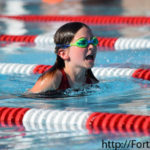 Children under five years of age and veterans and active military members can attend for free. 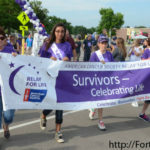 Proceeds will be donated to the Lone Survivor Foundation and Wounded Warrior Project. 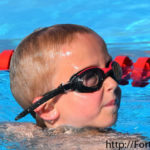 Regan said he hopes the event will continue on in years to come and only increase in size and its impact. 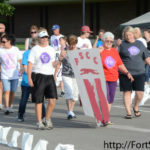 In their most recent meeting, the Fort Scott City Commission gave permission for alcoholic beverages to be sold on the city facility’s property as well as fireworks to be set off for the event, expressing their support for the cause. 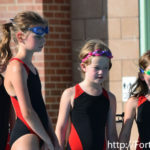 Regan also mentioned that each weekend this summer, a tournament will be hosted at the complex and they are looking into holding some there in the fall as well so it does not go unused. 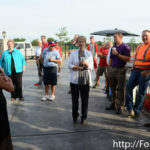 During those months, as many as hundreds of visitors will come to Fort Scott, fulfilling the complex’s goal, as Regan referred to it, of being a fountain in the community and not a drain. 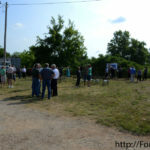 City Manager Dave Martin also gave an update on the project to begin construction on a second entrance from Highway 69 both to the complex and the industrial park. 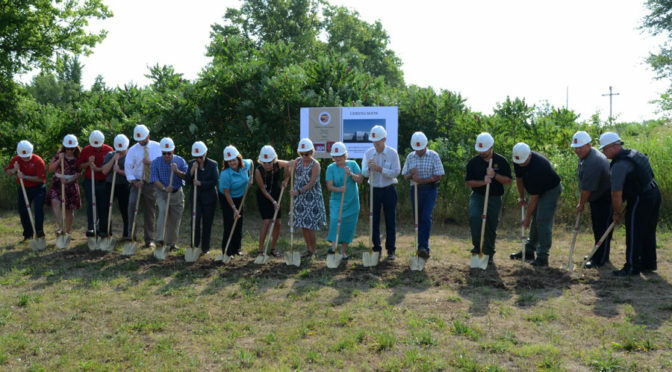 Work on the $1 million Kansas Department of Transportation and Fort Scott project is underway. 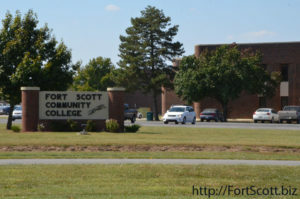 For 125 years, the Fort Scott Fire Department has served the city in emergency situations, and this Saturday will celebrate those years by inviting the community to an event at the fire station from noon to 3 p.m. The event will give visitors an opportunity to commemorate the anniversary and view old equipment used by the fire department over the last 125 years, including old fire engines and other equipment used and worn by the firefighters. Old ledgers will also be on hand to provide detailed information on the department stretching back to the 1800s, though maybe not the very beginning. “It’s hard to believe it’s been that long,” Ballou said, saying he has been a part of the department for the past 26 years, serving as chief since November of 2008, after a friend got him interested in becoming a firefighter. In his time with the department, Ballou said he has witnessed several changes come to the department, such as moving out of the downtown station and into their current location in 1993, adding fire station two in 2009, as well as a variety of improvements and changes made to the technology and equipment they use, such as thermal imaging cameras and better breathing apparatus. Another change in the 1990s included the types of calls the department responds to. Ballou said initially a fire department’s primary job was to control fires. 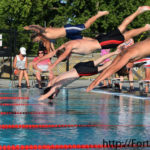 But in the last few decades, they began responding to vehicle accidents and rescue calls with local Emergency Medical Service teams as well, increasing their call volumes. Currently, the department averages about 100 calls a month, responding to almost 1,400 in 2015, which was a busy year. Ballou said their record came during a major storm when they answered about 100 tones in just one day. 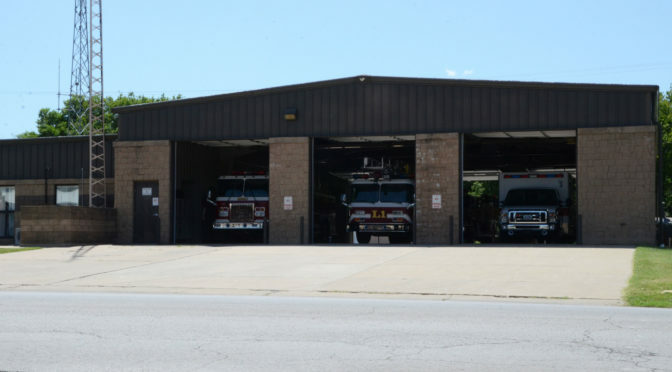 Ballou said higher numbers of calls can bring mixed feelings for the firefighters, who joined the department in order to have that opportunity to help the community and appreciate having their long shifts kept busy by calls. But at the same time, Ballou said they recognize that when they have a busy day, others are having a bad day. 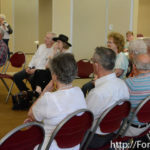 Despite the changes he himself has witnessed, Ballou said he cannot imagine other changes that occurred over the past 125 years for the Fort Scott Fire Department, which started off using a horse-drawn apparatus before transitioning to gas engines. Old ledgers even show when the department realized feeding and keeping the horses annually was more expensive than running the newer engines. 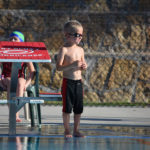 The department also transitioned from using just two shifts of firefighters to the current three, 24-hour shifts, giving the staff more time off and flexibility with sick days, training and holidays. A six-person reserve program also now provides extra manpower as well as a deputy chief position which was added just in the past couple years. “It’s changed a lot,” Ballou said of the department. But despite those changes, Ballou says some of the traditions remain the same, such as the firefighters’ eagerness to serve their community in times of emergency and the nature of the firefighter community that supports each other’s families while their loved ones are serving in sometimes dangerous situations. A tradition the department has held to for possibly as long as 75 years includes honoring past firefighters who have died by placing grave markers and firefighters’ flags at their gravestones each Memorial Day. Ballou said in the history of the department, they believe they have three confirmed, line-of-duty deaths, including one firefighter who was killed on his very first shift as a firefighter while others died later of smoke inhalation. “We lose them close to home sometimes,” Ballou said, mentioning other firefighters who died more recently in neighboring cities and departments, while more than 30 have already died in the line of duty in the nation this year. 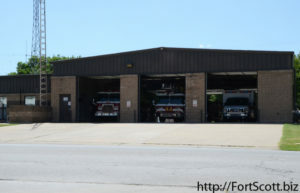 Mutual aid plays a key role for the majority of fire departments, including Fort Scott, as they respond to some calls in the county while those rural departments or other city departments help Fort Scott in larger emergencies. Ballou said their department relies on those departments just as they depend on Fort Scott, recalling emergencies such as the downtown fire in 2005 that took more than 30 hours, about 25 different departments and 100 firefighters just to get it under control. Ballou said the city itself has also been very supportive of the local fire department and its staff over the years. Later this month, Ballou said they hope to hold a second event that may be just for current and past firefighters, some Ballou said served as firefighters for years and even decades. 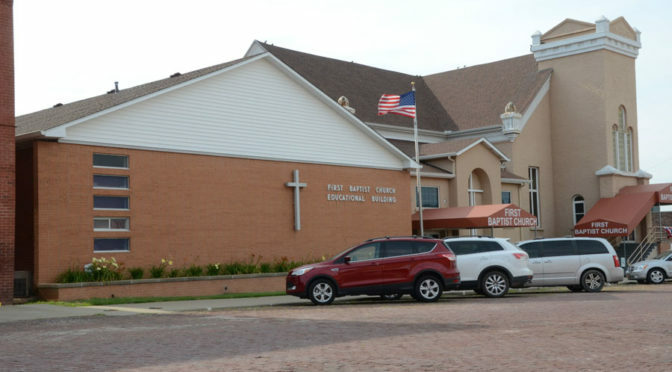 Excitement is in the air in Fort Scott, Kan., as the First Baptist Church, 123 Scott, Fort Scott, Kan., will soon be celebrating their 150th anniversary. 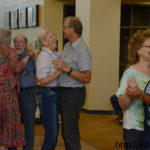 On Saturday evening, July 2, beginning at 6 p.m. in Fellowship Hall, will be an “Evening of Elegance Gala – Down Memory Lane” banquet complete with professional dinner music and program to follow. Many special memories will be shared. 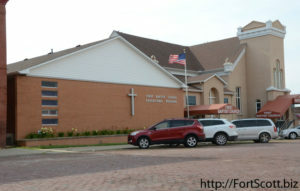 The banquet is free as it is being provided by anonymous members of the church. 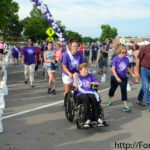 Reservations may be made by calling the church office, 620-223- 3080 by June 27th. Sunday morning, July 3, beginning at 10:30 a.m. will be a special celebration worship service. Dr. John S. Williams, Executive Minister, American Baptist Churches of the Central Region, will bring the morning message. 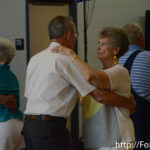 Following the worship service the time capsule will be opened and an old-fashioned carry-in (pot luck) lunch will be served in Fellowship Hall. Beginning at 5 p.m. July 3, at Shelter House Number 6, Gunn Park, a special evening church service will be held in memory of one of our former early pastors, Pastor Elihu Gunn. (Gunn Park was named after this special preacher.) 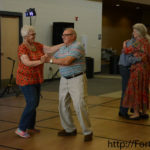 An old-fashioned, home-made ice cream and watermelon social will be enjoyed, with special testimonies and the singing together of many “old time” hymns. The Church history goes back to an earlier date of 1862. It was not officially organized until 1866, when a group of people met with a membership of 52 people starting the church. Following the Civil War, times were difficult. 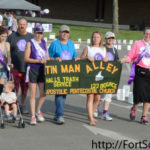 Previous settlers in Fort Scott had endured much hardship. 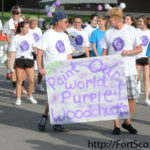 People came from all directions to Fort Scott. They came by covered wagons, horseback, trains and some even came on foot. Israel Harris was called on February 18, 1866, to be the first pastor. Meetings were held in the upper story of the Bourbon County Courthouse at the corner of 2nd and National, which is the present site of the public library. On October 10, 1866, lots were conveyed to the Church as a building site. In 1876, Elihu Gunn was called as an early pastor of the church. Pastor Gunn played a significant part in the history of not only the church, but the community of Fort Scott as well as the state of Kansas. Through the past 150 years, the church has welcomed 39 different pastors. Currently, the church is in search of a new pastor and has an interim pastor, Rev. Dr. Howard Cassidy-Moffatt, from Topeka, Kan.
A lot has changed over the years. During the struggles, hardships, financial weakness and problems, the central theme of the church – evangelism – runs like a bright golden thread—never broken, never dimmed. From the past to the present, the church has always supported missions and has been a nice place where people worship God. The 150th celebration committee includes Shirley Palmer, chairperson; Edith Peterson, Connie Conroy, Elsie Fly and Rhonda Allen. 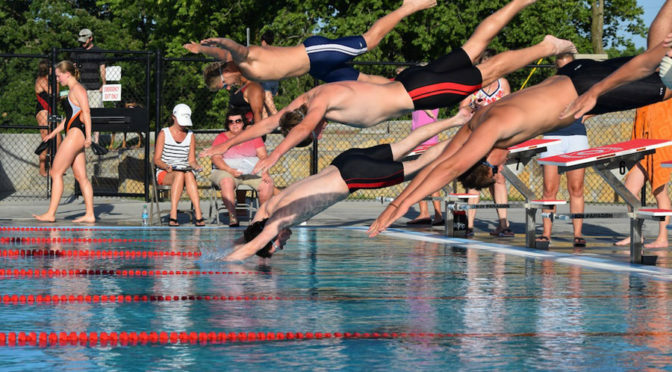 With just a few weeks of the season behind them, the Fort Scott Hurricanes have already found success in the Southeast Kansas Swim League, winning their first three swim meets of the year so far. 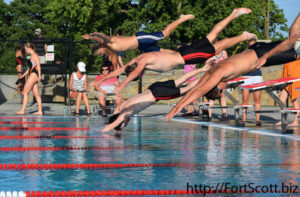 Wednesday, June 22, Fort Scott hosted the weekly meet for the league, which includes eight teams including those from Iola, Chanute, Coffeyville, Independence and others. 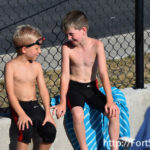 The most recent meet ended with Fort Scott being awarded the victory over the Independence swimmers, who were only able to bring about 12 of their normal 70 swimmers. 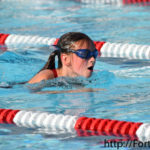 The Hurricanes have about 80 swimmers this year, ranging from five to 18 years old. 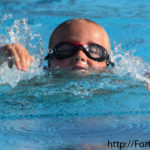 The season runs from June through the fourth weekend in July. 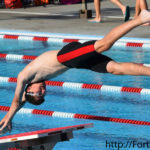 Sachau said Fort Scott will host four of the regular season swim meets this year, as well as the league meet held the weekend of July 22 and 23. 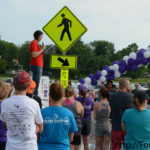 Hosting that event only comes about once every five years for each city, Sachau said, and it will likely bring about 300 people to the city of Fort Scott. 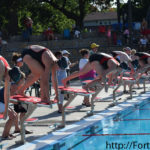 As the local team, Fort Scott will provide programs to hand out to visitors during that league swim meet, and Sachau said local businesses and organizations are encouraged to purchase advertising to be included in those programs. 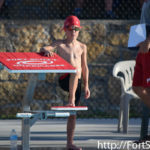 Tonight, the Fort Scott team will compete once more, this time in a swim meet against the Humboldt team. 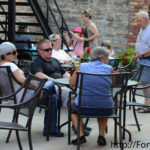 Fort Scott Community College Endowment Association will host the second annual Black & White Gala on Saturday, August 13. 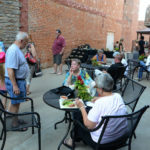 The gala will take place at the Liberty Theatre, located at 113 South Main in Fort Scott, Kan. The event will begin with cocktails at 6:30 p.m. and delicious, heavy hors d’oeuvres at 7:00 p.m. 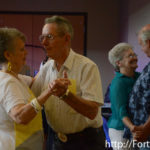 The cocktail hour will be followed by an evening of dancing and live musical entertainment with dueling pianos. There will also be a photo booth available for attendees. 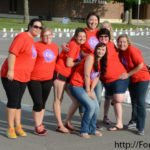 Proceeds from the gala will benefit FSCC students through merit- and need-based scholarships. 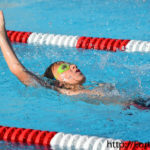 “The money raised by this event helps ensure future Greyhounds have the resources necessary to fund their education and reach their goals,” said Lyons. Tickets are selling quickly for this popular event. 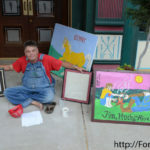 Prices are $50 for one person, $190 for a table of four, and $375 for a table of eight. A cash bar will also be available. To reserve seats or for questions about sponsorship opportunities, please call Bailey Lyons at 620.223.2700, ext. 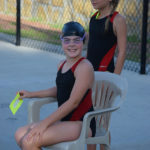 5830. 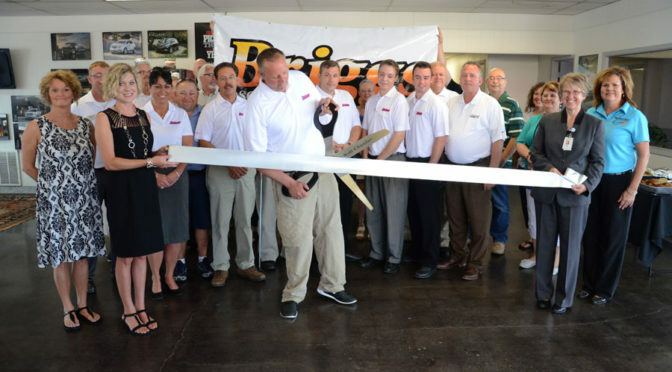 Although already present in the community for a few months, the new Briggs Auto Group was officially welcomed to the area by Fort Scott residents and the area Chamber of Commerce with a ribbon-cutting event during the Thursday morning Chamber Coffee. 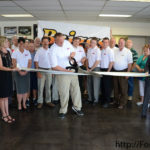 In March, what had previously been Shepherds Auto Plaza for many decades became Briggs Auto Group with the sale of the family business to Russell Briggs, who has been in the business for more than 30 years and had about nine dealerships in Kansas at the time of the sale. 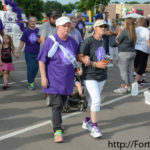 “We’ve really enjoyed being in Fort Scott so far,” general manager Mike Terry said, saying they appreciate the welcoming and friendly reception from the community. 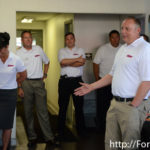 With the change of ownership, the employee staff has approximately doubled, with most of the Shepherds employees remaining at the dealership. “They do an amazing job,” Terry said of the staff, including the office staff as well as the salesman and other leadership in place. A larger inventory of vehicles has also been made available, making the local dealership one of the fastest growing in the area for certain manufacturers like Chevy and Ford. 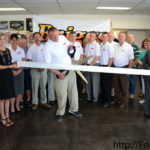 Other improvements such as computer upgrades have also been made at the dealership. 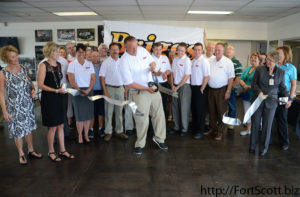 Those considering purchasing a vehicle or in need of repairs are encouraged to visit the new Briggs Auto Group located on Highway 69 in Fort Scott. 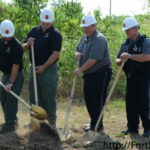 A project whose planning stages began years ago came a step closer to having visible results with a groundbreaking ceremony held Thursday morning for the new Bourbon County Law Enforcement Center. On April 7, 2015, the public’s vote gave the county approval to move forward with their plan to construct a new building to serve as the Bourbon County Sheriff’s Office as well as the county’s detention center. “It’s a special day for the county,” commission chair Barbara Albright said, saying the new center will provide more space as well as a safer environment and improved conditions for the inmates and the staff. 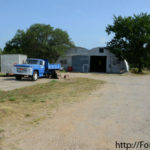 With work beginning soon on clearing and beginning construction on the property located just east of the Briggs Auto Group off Highway 69, the commissioners stated they hope it will be complete in about a year. 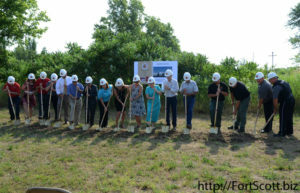 Commissioner Harold Coleman admitted it was a long and often difficult process to get to this point—facing hurdles such as getting the project approved by the county citizens, finding suitable property and deciding on the building design—but that work was well worth it as they begin to see work being done on the new law enforcement center. 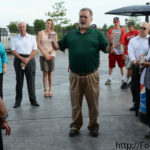 Sheriff Bill Martin expressed his appreciation to the county and city officials as well as the citizens for making the new center a reality. Martin pointed out that a lot of the hard work was completed by his own staff and leadership. 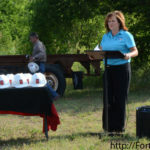 Lindsay Madison, executive director of the Fort Scott Area Chamber of Commerce, said during the ceremony that there are numerous projects going on around the city of Fort Scott, and that the new center is another key project that will build up the infrastructure of the county for years and generations to come. 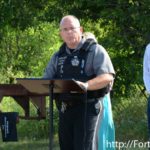 “We are leaving a footprint on our history,” Madison said of those projects, including the new law enforcement center. 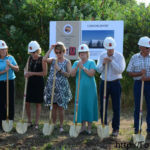 County, city and sheriff’s office leaders participated in the groundbreaking ceremony as did representatives from the architecture and engineering firms that took part in the planning and design process of the center. Fort Scott National Historic Site proudly continues this tradition and invites you to come and join us in celebrating our nation’s independence with an Old Fashioned Military Holiday. 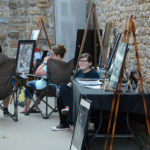 Cannon and musket firings, children’s games and ice cream are just a few of the free activities offered Saturday, July 2, Sunday, July 3, and Monday, July 4. On Saturday, living history will be featured, so come and mingle with soldiers, laundresses and officers’ wives as they present garrison life in the 1840s. The bark of cannon and crack of gunfire will be heard throughout the day as artillery programs pay honor to our freedom. 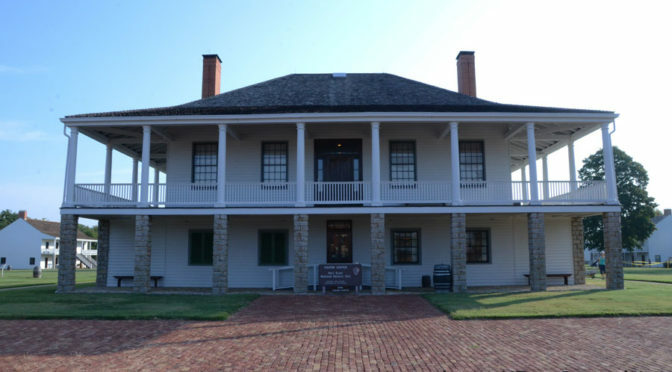 At 2 p.m., enjoy a cup of homemade ice cream provided by the Friends of Fort Scott NHS, Inc., as Ranger Robert Thomas provides a rousing patriotic speech followed by a 30-gun salute honoring the 30 states in the Union in 1848. 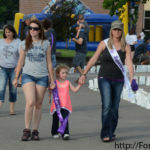 Join our Grice family volunteers on July 2nd and 3rd for candle making and children’s games. The Grices make hand-rolled beeswax candles and dipped tallow candles made from beef fat, just like they were made at home in the mid-19th century. They will also demonstrate traditional toys and games of the era, like the whip top, peg top, flipper, marbles, graces, jacks, nine pins and more. Activities will continue on Sunday and Monday with additional artillery demonstrations and programs focused on various historical events associated with Fort Scott. Would you like to attend the Centennial Grand Ball in September but think you have nothing to wear? Does your spouse/mate/date use the excuse: “I don’t have anything to wear!” Join volunteer Dee Young on Sunday, July 3, at 1 p.m. for “Ball Attire 101: Creative, Affordable Clothing for the NPS Centennial Grand Ball!” Dee will share some simple ideas of how to prepare for the upcoming Grand Ball to be held on Labor Day weekend. Bring items you may currently have (prom dresses, evening gowns, wedding gowns, etc.) and she will discuss how they might be modified to make you the “Belle of the Ball.” If you have lace, lace curtains/tablecloths, ribbons and the like, bring them with you. 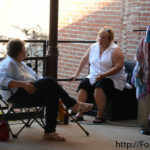 Even if you feel clueless, come get ideas of what to look for as well as ideas for tweaking items you might find in your closet. This is your chance to make the Grand Ball experience stress free and purely an enjoyable and memorable occasion! Lincoln, held that the only effective safeguard to individual liberty was universal liberty. Lincoln and others argued that as long as Americans believed that all men, at least in principle, were endowed with such inalienable rights of life, liberty and the pursuit of happiness, everyone’s liberty would be self-evident, regardless of social standing or circumstance. In this centennial year of the National Park Service, area youth are invited to join in this 100th birthday celebration by participating in Fort Scott NHS’s annual Trailblazer workshop. 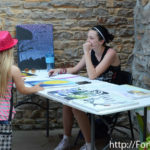 Now in its seventeenth year, Fort Scott National Historic Site will offer its Trailblazer program to youth from 9-12 years, twice this year, from July 18-22, and from August 1-5, with programs running from 8:30 a.m. to noon each of these days. This workshop will expose young people to the mission that the National Park Service has of caring for the nation’s natural and cultural heritage. 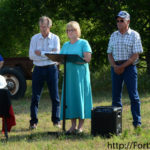 Participants will take part in an archaeological dig, work in the prairie and gain knowledge of methods used to preserve the buildings and artifacts of the fort. They will learn about living history and interpretation and will work on a play that they will present at the end of the week. Also, there will be green activities that will teach children how to use our resources wisely. Registration for the workshop begins this week. 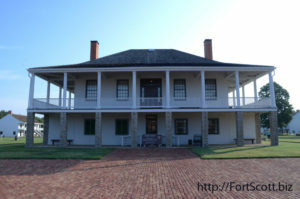 To register, contact Fort Scott National Historic Site at (620) 223-0310. 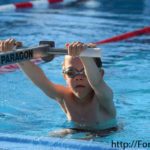 Participants must be aged 9-12 as of the beginning day of the camp. 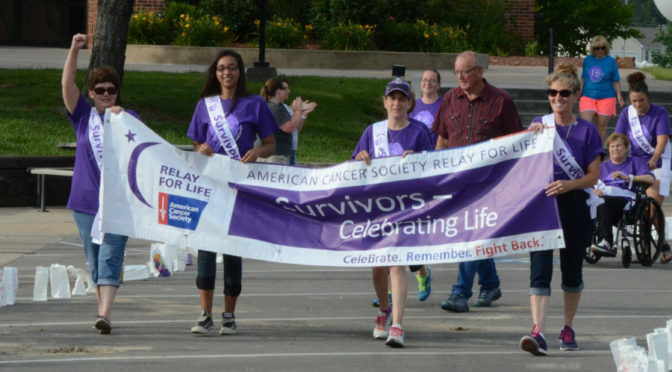 They will be sent an informational packet after registration is complete. There is no charge for the workshop. 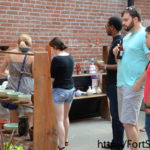 Space is limited to 12 people each week; since space is limited, those who are new to the workshop will be given preference over those returning. 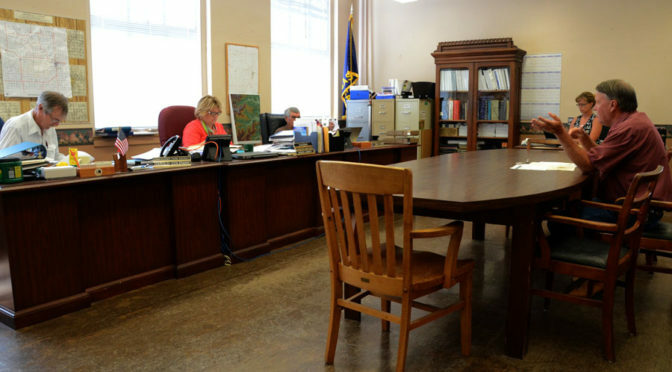 With the budget hearing for the new fiscal year coming later this summer, the Bourbon County Commission began accepting proposed budgets from individual departments during their meeting Tuesday. 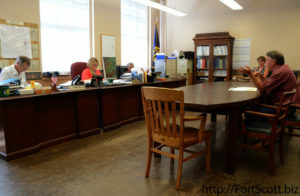 With the general fund being tight in Bourbon County in recent years, with carryover often being used up the following year, and other expenses such as courthouse security changes approaching, the commissioners expressed appreciation to the department heads they met with Tuesday when many of them came with budgets unchanged or lower from previous years. “Thank you for being frugal on your budget,” commission chairman Barb Albright said to emergency management director Will Wallis when he presented a budget that was lower than the previous year. The emergency preparedness budget requested $66,464, which included line items such as wages, phones, maintenance, office supplies and other fees and dues. A second emergency budget consists of a $17,000 grant from the government that is also used to pay for some equipment and other items such as the Code Red weather alert system. Eric Bailey of the Local Environmental Protection Program presented two proposed budgets, one that totaled the same as the previous year while the second added an extra $20,000 for the purchase of a new vehicle, since the current one has needed a significant amount of maintenance work done to keep it operational and has about 136,000 miles on it. With a new vehicle included, the proposed budget totaled $64,821. Rhonda Cole and Judge Mark Ward of the district court proposed a budget of $242,293, with no increase over the previous year’s budget. The commissioners expressed their surprise and appreciation that the courts were able to keep the budget the same despite heavy case loads in recent months. Tim Cunningham of Tri-Valley Developmental Services also presented a proposed budget to the county commission, requesting $55,000, down from the almost $55,500 they received the previous year. From their total, more than $5 million budget, Cunningham said cuts in their number of employees and other changes decreased their budget by about $.5 million. 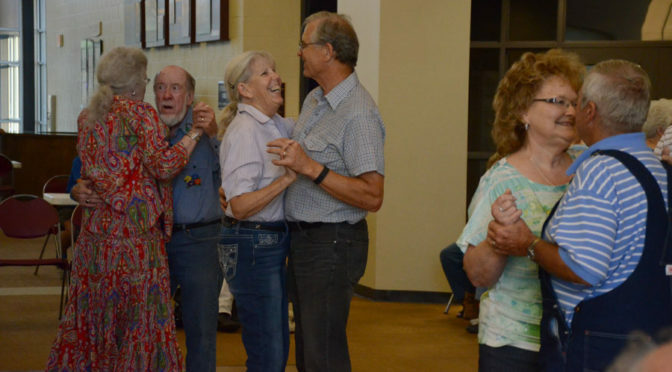 “You have always been good to us,” Cunningham thanked the commissioners, while the commission expressed their positive opinions concerning the importance of the services Tri-Valley provides. Director Jim Harris of the road and bridge department also presented a budget proposal, with the key difference from previous years being a three percent wage increase. Areas and their requests within the department included: $152,598 for noxious weed; $217,426 for bridge and culvert; $20,585 for special bridge; $225,019 for the landfill; $26,931 for Elm Creek; $2,197,773 for road and bridge; and $1,018,124 for the road and bridge sales tax. County Clerk Kendell Mason requested $98,462 for her department as well as $90,450 for the election budget, both numbers very similar to the previous fiscal year’s budgets. 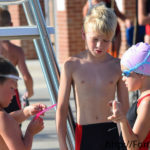 Further departments will continue to present proposed budgets to the commissioners so the commission can approve the numbers in a budget hearing, scheduled for the end of August, so those requests can then be submitted to Certified Public Accountant Terry Sercer, who will form the budget before the fiscal year begins January 1. 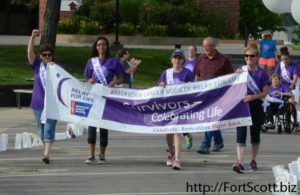 Bourbon County participated in the nationwide and even international Relay for Life event Saturday evening at the Fort Scott Community College, raising more than $20,000 locally for the American Cancer Society. 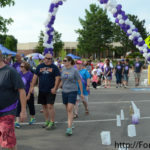 “This is an amazing gathering,” organizer Allison Daly said in the opening ceremony, saying the reason they come is to finish the fight against cancer by remembering cancer victims, celebrating the survivors and thanking caregivers. 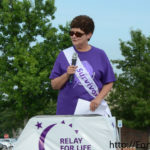 The event began with guest speaker Patsy Smith, a Fort Scott native and fifth-year cancer survivor , despite her diagnosis of a rare cancer in her appendix. 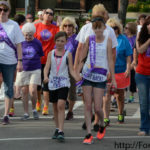 Smith said cancer is a disease that affects entire families, not just the individual, and it takes that family or a strong support group to help the victim both physically through the cancer treatment as well as mentally when they become discouraged. 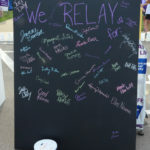 The relay kicked off with a cannon fired by Velocity Tactics and then a lap for the survivors followed by a lap honoring those caregivers. 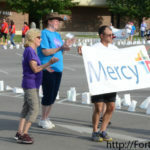 Local businesses, organizations and families formed teams to raise money and participate in the overnight relay event, including FSCC, Mercy Hospital, Future Farmers of America, FirstSource and area churches among others. 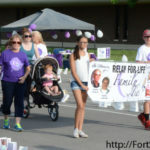 The groups also sold food items, raffle tickets or other items around the track to continue to raise funding. 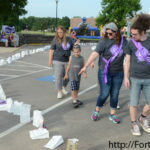 Other festivities included bounce houses, a luminary ceremony, performance by Signing of the Divine and music provided by a DJ. Calendars are also for sale. 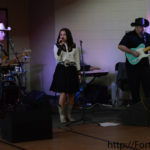 The 20th annual Echoes of the Trail event provided a number of festivities in Fort Scott over the weekend as country musicians performed, young poetry winners read their works and cowboy stories were recited by local and visiting participants. 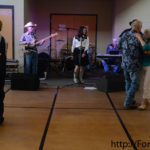 The event kicked off with a dance Friday evening with music provided by the band Crossfire and featuring singer Kinley Taylor Rice. 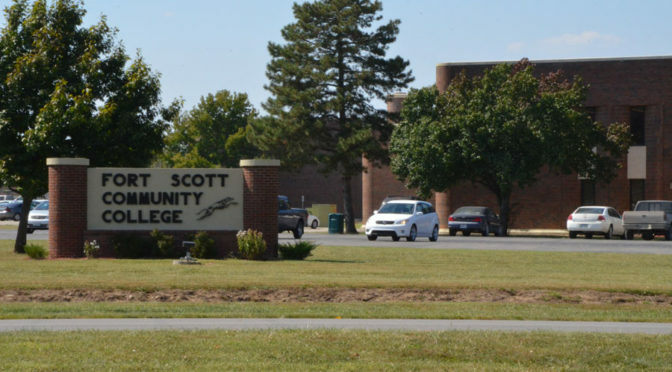 A pie contest was also held on Saturday while western gear vendors sold goods at the Fort Scott Community College location. 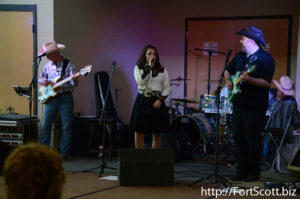 A silent auction Saturday evening gave its proceeds to Heroes Among Us, as did the chuck wagons available Saturday. 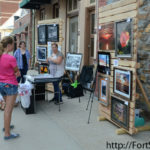 The Bourbon County Arts Council hosted a Downtown Art Walk Friday evening in downtown Fort Scott, drawing together local artists as well as shoppers and viewers interested in enjoying those items on display. 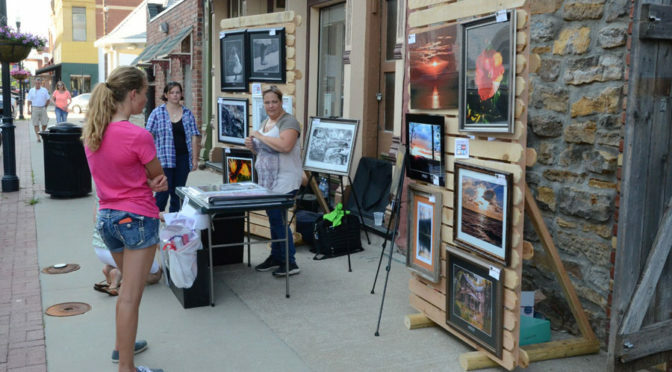 A collection of photographers, painters, potters and other artists displayed a variety of items in numerous forms, giving Fort Scott residents an opportunity to enjoy and celebrate the arts in their community. 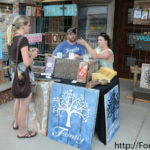 Another Downtown Art Walk will be held July 15. 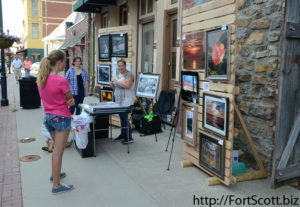 Artists are encouraged to sign up for a booth at the event.